Hello Crafty Friends... I'm so HAPPY to share some exciting news... 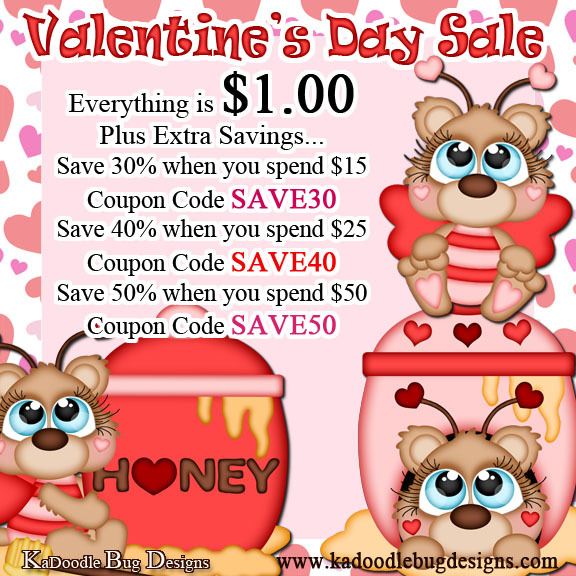 I am the newest Design Team Member over at KaDoodlebug Designs!!! Yay!! 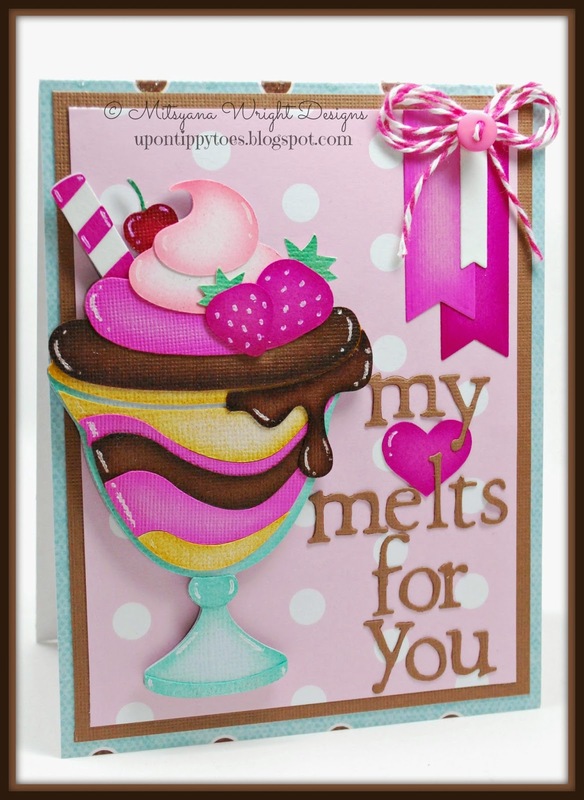 And for my first Design Team project I chose to make a card featuring this utterly sweet ice cream sundae from the "Yummy Treats" file set!! I thought would be perfect to make, yet again, another Vlaentines Day card. I ebrushed all the paper pieces before assembling them. Then I added highlights with a white gel pen. The results were simply amazing. There is just so much depth! I paired it with a group of pennants (which were also ebrushed) and topped it with a bow. So hurry quick before you miss all these great deals!! Super cute card, love the fabulous cutting file you used. Those colors look so yummy and I love the "ebrushing" technique you used, all of the pieces look amazing! Welcome to the DT!! !